Our Internship program for 2019 is looking to be an exciting opportunity as we plan an increase in practical equipping and training opportunities. Through the program, we aim to strengthen and impart in a new generation the SU DNA whereby we’re able to share the Good News through adventure-based, outdoor ministry within temporary Christian community. Interns will spend at least ten weeks of their year on SU camps and other programs as well as time in the SU office planning and supporting our programs and staff and possibly completing some form of study. We’re looking for people who are teachable and able to take initiative, with a desire to see children and young people experience God’s power to save. To find out more, head to suwa.org.au/internships and click the ‘register interest’ button. The next wave of Christian leaders here in WA are transitioning as we speak, from being youth group kids and campers to ministers and disciple-makers in their own right. But what kind of leaders will they be? Over the past year, we have been asking ourselves some key questions. Are we committed to producing Christian leaders? As Christians, and as leaders on SU programs, in our churches, and in life, we’re destined to hand over the reins to the next generation, and in fact this should be our goal as makers of disciples. Our successors will be younger, less experienced and vastly different to ourselves, but we must commit to doing all we can, as a matter of priority, to ensure these emerging Christian leaders are prepared for the task at hand – to win souls to Christ! Imagine what it would look like here in WA if every Christian leader with a life worth emulating committed themselves to the worthy task of replicating themselves in the next generation? How are we creating Christian leaders? It’s easy to measure or test a person’s competence – their skills, experience and qualifications. Additionally, competence is elevated above character in today’s society, for instance the process of hiring an employee based on a resume and brief interview. Testing someone’s character is far more difficult, time-consuming and is just plain awkward. It involves doing life with them, observing how they navigate challenges, and witnessing the presence of God in their lives. Here at SU we have tended to lean heavily on equipping and training leaders to be competent. We require particular training to be completed and encourage young leaders to gain relevant qualifications. A key consideration when appointing a Team Leader is their capacity to fulfill their job description. Whilst competency is a key aspect of leadership, we have in some ways neglected the more important matters of the heart. What will these leaders, and the church, look like? When faced with life’s challenges – in times of stress, when temptation rears its ugly head, when experiencing grief and loss – will the future leaders of the church be left wanting? We’ve all heard the shocking stories of prominent church leaders, both local and international, failing the tests of life with devastating consequences. When character and integrity are lacking, all the skills in the world won’t help. Will the church grow as the world is attracted to powerfully transformed, loving, holy individuals? Or will the effectiveness of the church be stifled by qualified leaders who draw the world in for a closer look at their shortcomings and character flaws? What is SU WA doing about this? Despite it being more time and labour-intensive, we believe that building character and integrity in our emerging young leaders is a priority. Just as David was, we want our future Christian leaders to be women and men after God’s own heart. 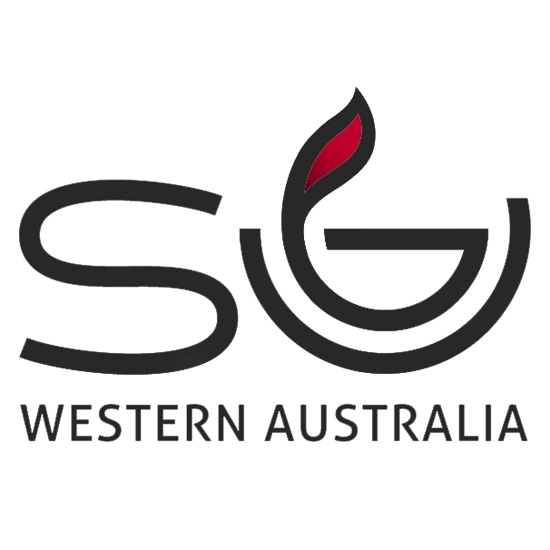 SU WA has always been known for developing young leaders in their faith and equipping them with skills for ministry. State Director Kent acknowledges the significant role SU played in his own leadership development, “I owe so much of my knowledge about small groups, planning, action and reflection and sharing my faith, to the training and experience I got as a young adult with SU”. We believe there is something about SU ministry that complements the local church beautifully, and with our renewed emphasis on the heart, we believe our leadership development opportunities – combined with the experience gained through being involved in our programs – provide a substantial and significant ‘injection’ to the formation of a young person’s character and competence. Character and integrity are tested and strengthened when young people spend day after day loving and serving together. In this environment, there is nowhere to hide. God has encountered people through us this year! Your time, talents, support, donations, prayer and involvement have resulted in these testimonies of changed lives. Young people are meeting Jesus and following Him and are growing in reading the Bible and in leadership through us. Thank you for being involved with SU. We have been focused this year on building ministry partnerships with churches, to strengthen their witness, discipleship and leadership among young people. It has been a joy this past year to hear from Pastors who have seen this benefit their church. As Australia changes, we also want to strengthen our focus on taking the gospel to young Western Australians where they are. To do this, we are seeking to rebuild arts and schools ministry. Camping and holiday missions are strong, but we want to find new ways of sharing the good news with children, young people and their families. God resources His work and I praise Him for his faithfulness this year, that has seen the movement stabilise. We continue to face ongoing resourcing challenges and need to build income to enable this life changing ministry into the future. The need to change tax deductibility for donations poses new challenges for us, but I love that Christian people fund this mission and together change lives. We hope to develop new ministry and income sources too, to build sustainability. The staff team has been stable and strong and I thank God for their servant hearts and passionate support of the movement and mission. It is a challenging and exciting time to do Christian ministry. I look forward to God leading us with creativity. The SU movement has so many opportunities to impact the lives of young people. I pray that He enables the new things that He wants for SU and I believe that we are being called to “Seek first the Kingdom of God and His righteousness” and look to God to do His work. Thank you for being part of the team and for the privilege of leading you. It’s been another great and whirlwind year at SUWA. You’ll read about yet another year in a long stream of years where God has used SU to draw people to himself, out of dark situations into light. Doing this all in the unique SU way. Our staff team and many volunteers are amazing. Thank you all. Again God has blessed us financially this past year, through the very generous donations of you our supporters. We are not without our financial challenges for the coming year but are trusting and praying for God to bless us with what we need. At a Cabinet level this year Kent has done a great job of keeping us on track, and we are making the most out of the talents God has given us. Recent collaboration at a national level has seen possibilities for greater collaboration between state movements. What began, for me, as an introduction to other interstate chairs and directors at SU’s Australia conference three years ago, has turned into a series of workshops looking at what a more unified SU in Australia would look like. Honestly, I have been so impressed by the level of commitment (everyone turns up, every time!) and earnest cooperation in these meetings. I have met some amazing people, have formed new friendships and believe God is speaking to us as a movement regarding possibilities to work more closely together. As part of this, I have accepted a nomination to be part of a national governance group which will oversee the development of a potential new governance arrangement for SU in Australia. I’m cautiously excited about this, and ask that you would join me in praying. To facilitate this, Philippa Boldy has been seconded into the chair role in the interim. Thanks Phil, for stepping into that role. Thank you all for what you do for SU. Let’s continue to seek God together. Volunteers aged from 5 to 75 joined together in the last week of April at Camp Geographe. Teams were formed and the weather remained fine and sunny. Old bunks, new bunks and miscellaneous items covered the lawns surrounding the cabins as the floor work was undertaken with enthusiasm. Teenagers from Cornerstone Christian College assisted, doing heavy lifting, cooking, dishwashing and being available wherever needed. Morning tea was followed by daily prayer, with Mobile Mission Maintenance sharing prayer needs and information on their ministry around the world. “This will be the highlight of our safari tour,” one MMM volunteer said. Ministry and bookings have increased over the last five years as we improve the grounds and facilities here. SU is now making full use of all school holiday periods for Holiday and Breakaway camps. Praise God for the provision of this beautiful place, for funds to improve it and for the ministry that happens here! God has blessed us over the last 12 months in SU’s School Camping Ministry and is continuing to bless us with increased opportunities for ministry. In addition to more opportunities, the quality of the ministry, the outcomes, volunteer sustainability, and the experience for our volunteers continues to grow. It is our continued prayer that God blesses more schools and more young people through the SU school camping ministry over the next 12 months. With this in mind we launched our Christian Schools Camping Promotion in the lead up to the Christian Schools Australia WA Conference in July, at which SU exhibited, and Mike Bezant presented on the topic of School Camping with God. Please continue to pray for our team and the School Camping Ministry. Over the last year we have been working on understanding and evaluating the impact of holiday camps and other SU programs. Joyce Arnott has put together a number of tools for gathering stories and evaluating programs. One of the tools is a camper feedback form. This form has been trialed and rolled out to summer and autumn holiday camps. The information collected will help Team leaders plan better programs and camps but it also captures the impact of holiday camps. The feedback forms are also used for followup of campers by providing them with bibles, connecting them with a church or youth group as well as connecting them with a leader they got on well with and helping them grow in their faith. SU Schools Ministry has been once again roller coaster of a journey where God has shown His faithfulness to us in this wonderful ministry. There have been many opportunities where our team leaders for school programs have gone above and beyond to ensure that they are able to have the chance to proclaim the Gospel. The SUPA clubs continue to persevere through a tough environment and are continuing to serve and love the kids that come. When reviewing the Bible verse Philippians 4:13, “I can do everything through Christ who gives me strength,” we asked, “who is the ‘I’ referring to?” A girl answered, “a person who trusts in Jesus.” We were thrilled with the understanding of God’s Word shown in this answer. Our group of children have shown deeper understanding of the Bible verses we are learning this term. They have grasped the understanding that God loves everyone but can only help and strengthen those who have trusted in Him. At SU WA we have a strong sense of the great privilege of being invited to work with God in his worldwide ministry of reconciling all people to himself (2 Corinthians 5:18-19). This also encourages us to seek and value partnership with other parts of the body of Christ; Christian schools, churches of all denominations and other parachurch ministries. One such partnership is camps and community missions we run with TEAR; a Christian organisation who bring relief, effective development, and advocacy to those suffering under poverty and injustice. As a school chaplain I found students and staff with no experience of the gospel would often engage readily with such issues. When you explained the concept of human rights as we understand them today originated with Jesus, their interest was stirred in who Jesus really was. With TEAR we have been exploring how to help high-school aged Christians grow in their understanding of God’s heart for justice and his concern for the poor and marginalised. In this way we hope to empower our young Christians in schools to be secure in the knowledge that no one has greater concern for bringing justice for all people than our God, and we, as his ambassadors, can be confident his Word and his Spirit equip us to serve those in need. So far churches in three different denominations have shown interest in supporting training for their youth, and our first MAD workshop will take place in August this year. It joins our other activities with TEAR: AMUC (AMong the Urban Community), our local exposure mission camp for adults, and the annual MAD camp for senior school students. We acknowledge the work of SU staff Joyce and Paul, Steve McKinnon at TEAR and several key SU volunteers. God very often uses AMUC and MAD to bring powerful transformation to those who attend as campers or leaders. As Jacqui Burgess, Youth Pastor at Subi Church, who have generously hosted MAD camp several times, said recently, “All Christian teenagers should do MAD camp. No, make that ALL Christians.” We say Amen! A powerful impact of SU ministry is the way we empower young people for service in the kingdom of God. Lawson, a team member of the Augusta Turner Family Festival with his family since 2013 began his connection with SU by attending a camp and Leavers in 2012. “I was encouraged by the leaders to take my faith more seriously and saw how God uses camp communities to build up his church”. “Those ten days in January are always a highlight of my year because of how our team pulls together to pull off such a jam-packed and Jesus-proclaiming program”. Lawson has learned skills in how to share his faith with young people and their families in a practical way. “Beach mission provides an amazing opportunity for me to see how God uses our team for his glory. I’m reminded of just how needy people are for Jesus, no matter if they live in a 3rd world country or the blissful South-West”. As a youth leader, his SU experience has helped him assess his leadership style under stress and taught him how to delegate. “I’ve learned that saying “YES” to scary new challenges is the way to go! Sharing the Good News and being comfortable often do not go hand-in-hand. I learn the most and I’m at my most productive for the Gospel, when I stop doing just what is easy and jump into the deep end”.